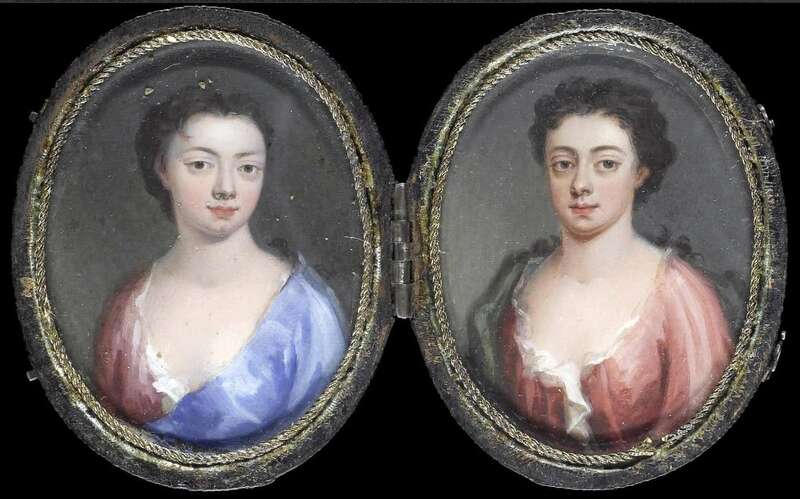 Catherine and Janet Nanney, painted circa 1710. A pair of portraits of Catherine Nanney (1692-1756) and Janet Nanney (1692-1728) painted in 1710. They are wearing crimson dresses with white underslips and blue and dark grey cloaks respectively. The items were sold at Bonhams with a guide price of £3,000-£5,000. Scans and text courtesy of Bonhams.